This is the third and last post in the “white” animal series. 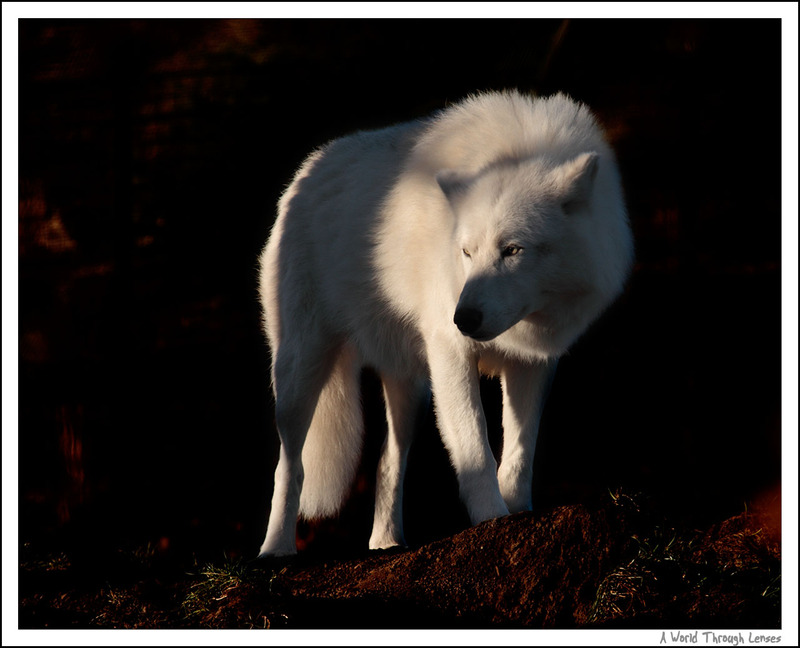 And the star of this post is the Arctic Wolf. 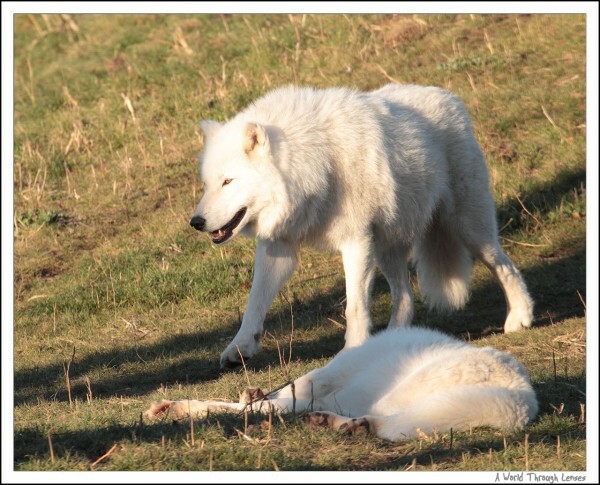 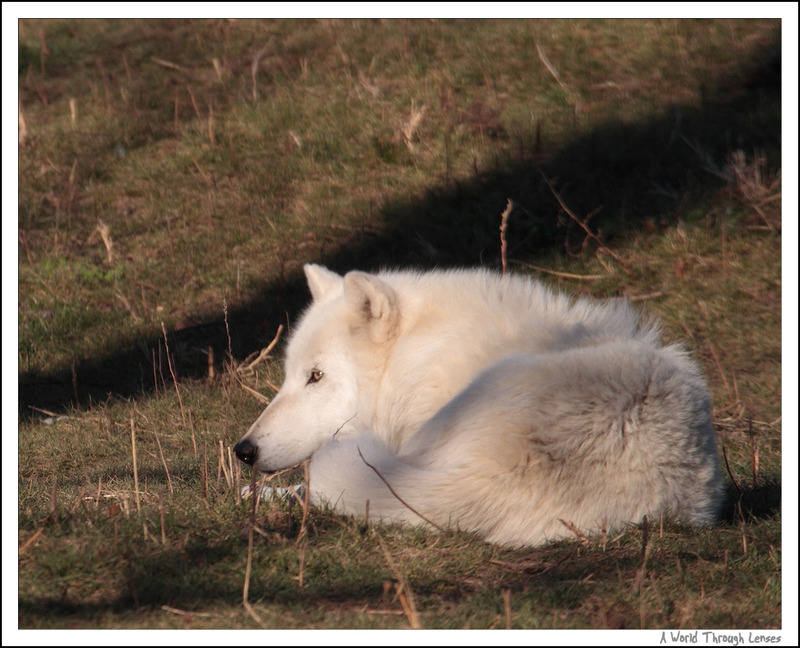 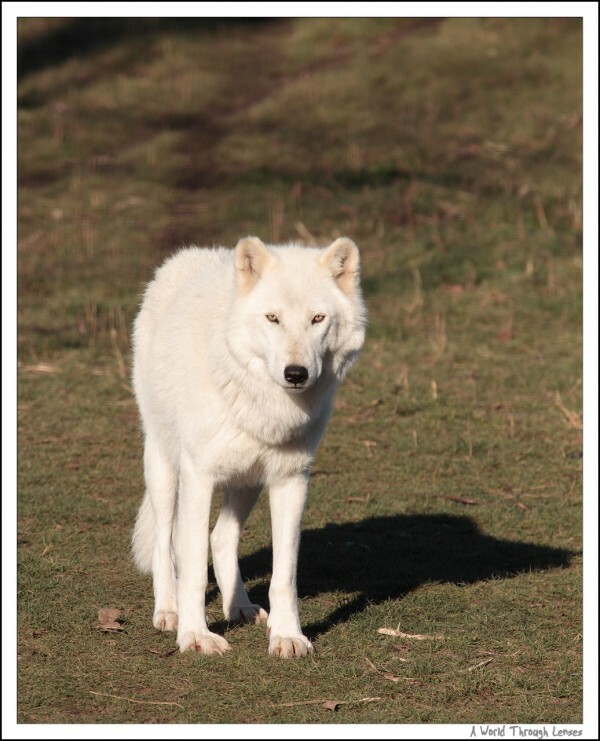 I’ve had posted my photos of the Arctic Wolfs at the Toronto Zoo before in this post. But the new exhibit is much bigger and the wolfs looked much happier in there. 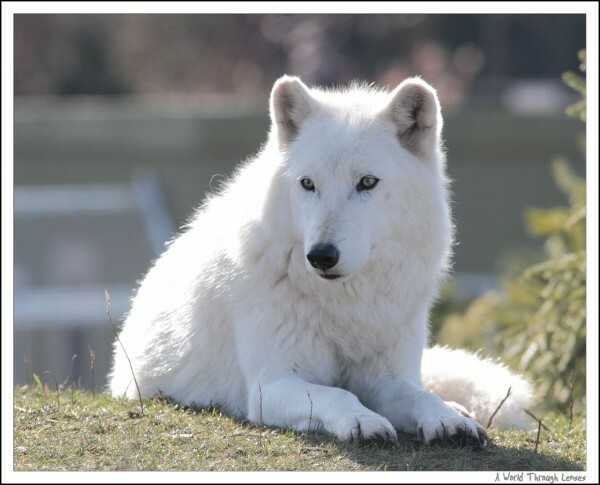 Looks like a big white dog, but this is actually the Arctic Wolf. 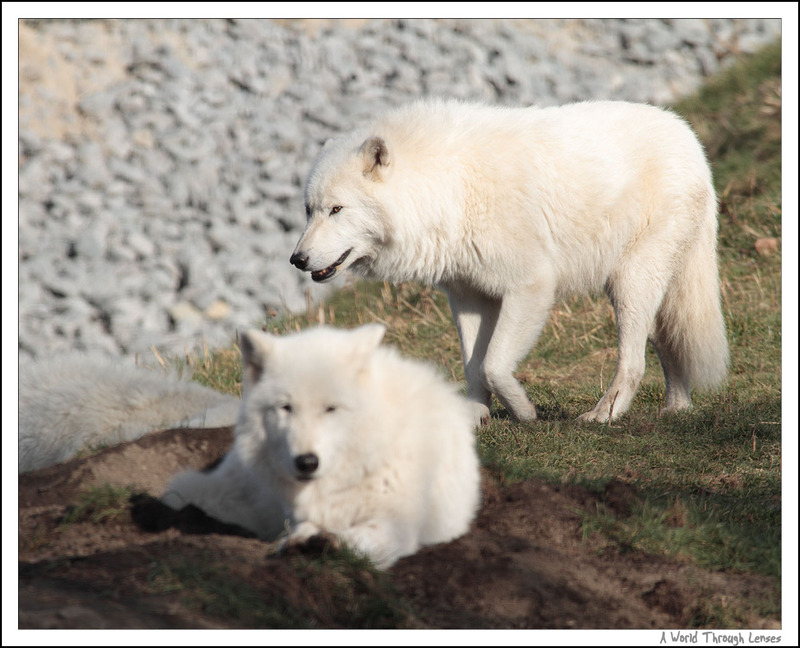 Unlike some other arctic animals, Arctic Wolfs actually have white fur year-round. 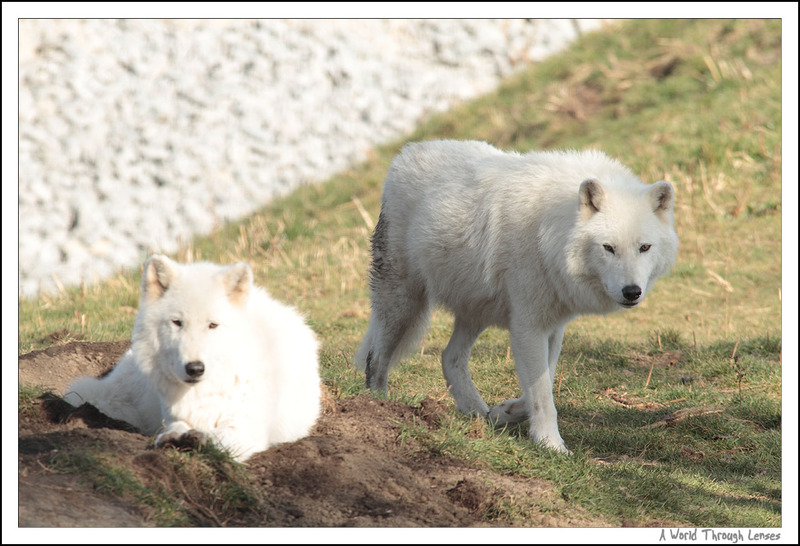 Arctic wolfs are actually just a subspecies of the Gray Wolf with only the white fur and light difference on the nose and ear differentiating between them. 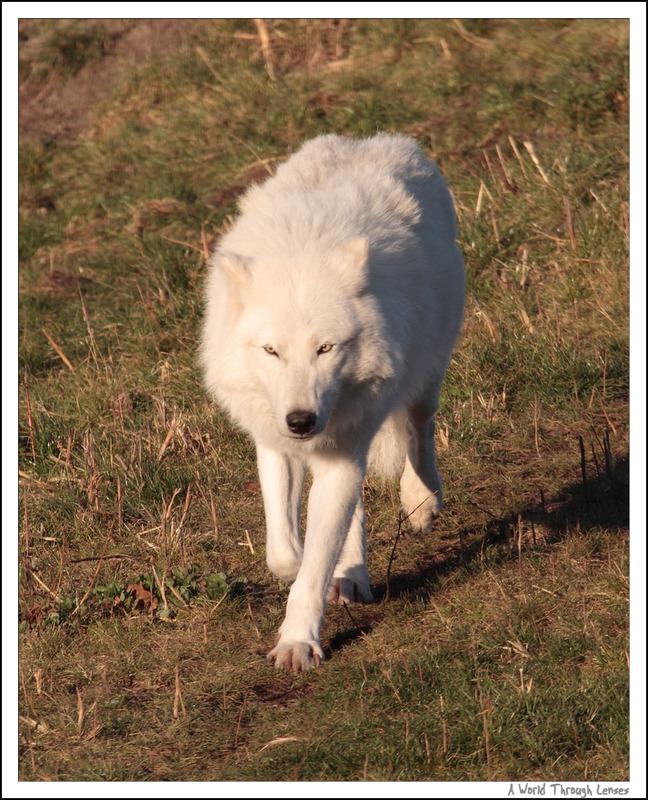 To the left, an Arctic Wolf running towards me. 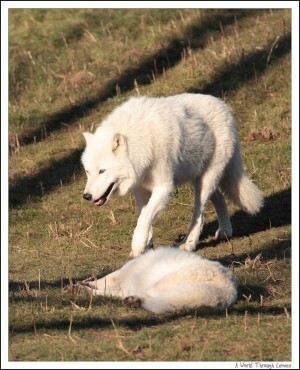 To the right, nope that’s not a dead prey. Just another wolf sleeping. And a dramatic shot to close up this post. Those are stunning photos. I have a blog about tundra animals such as the arctic fox, snowy owl etc. 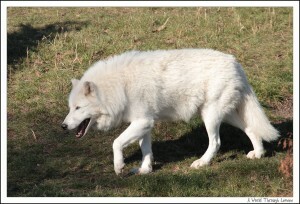 We don’t have any in the zoos in my country sadly.